Calling all makers, artists, and side hustlers! You're invited to meet up with fellow makers at the Innovation Center in our Garfield Heights Branch for a light breakfast, coffee and a hands-on introduction to our free Innovation Centers. 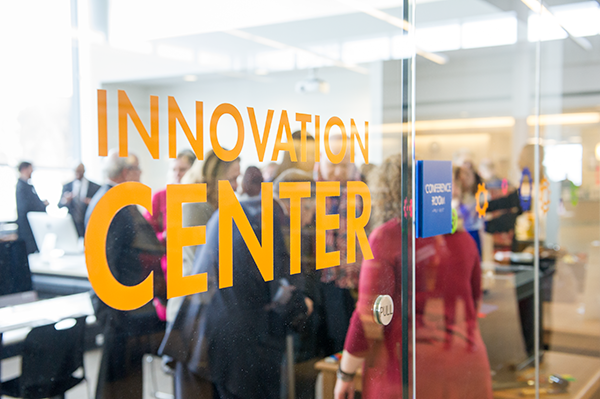 The Innovation Centers at Cuyahoga County Public Library are creative, collaborative and educational spaces that provide access to advanced software, emerging technologies, production studios, and co-working spaces. Equipment includes: 3-D Printing and Scanning, Vinyl and Laser Fabrication, CNC Milling, Adobe Creative Suite Software, embroidery machine, sewing machines, Audio/Video production studios, and more.